Some of the best bits about Bond are his cars, and now you can own 8 of them. 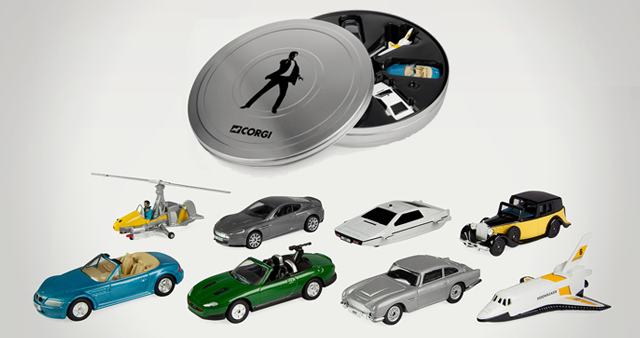 The James Bond 007 miniature vehicles set contains some of the most memorable vehicles from the James Bond movie series. - the Rolls Royce III from Goldfinger, and the Space Shuttle from Moonraker.